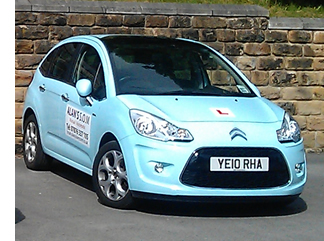 Based in Heckmondwike and teaching people to drive in Heckmondwike, Batley, Dewsbury, Morley, and the surrounding area, Alan’s School of Motoring have over 25 years experience and you’ll find us the most patient driving school around. We will help you pass your test. We are fully trained and accredited by the Driving Standards Agency to teach people from total beginners right through to people wanting a refresher course if they haven’t driven for a while or for some reason have lost their confidence behind the wheel..
We tailor our training courses to suit each and every one of our customers. We make learning not only fun but safe and informative. Ultimately we know what it takes to get our pupils through the driving test and to make their driving safe and fun in the future too. We know that money is tight for our customers, we keep our costs low so we can offer the best hourly rates and packages in the area. To take us up on our fantastic £50 for 5 hours package for beginner drivers, simply complete the form on the right. All in all, we promise to get you through your driving test safely and with a smile! Call us today on 07876 337105 to talk to us about the driving lessons you are looking for. We look forward to hearing from you.